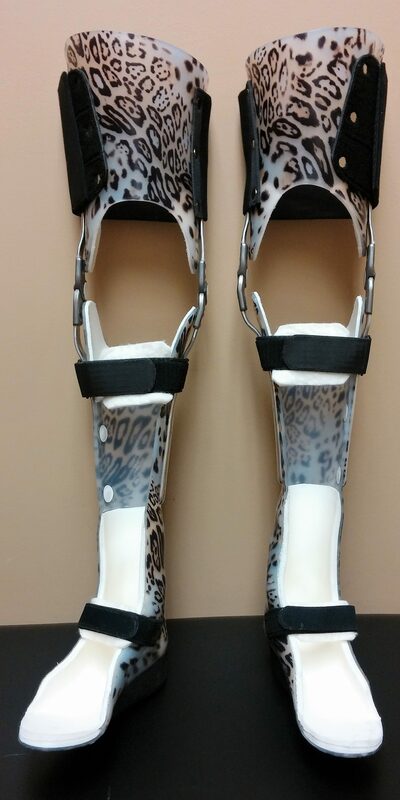 A knee-ankle-foot orthosis (KAFO) is a general name for a brace that encompasses the foot, ankle and knee. It usually has some type of knee joint and may or may not contain an ankle joint. KAFOs can be thermoplastic, conventional or a hybrid of the two. Thermoplastic KAFOs are made of high temperature thermoplastics, laminated resins and thermoform able composites, or a combination of these materials. They are designed to be worn with non-custom shoes provided they have adequate depth and width. Conventional KAFOs are made primarily of metal and leather attached to an orthopedic grade shoe or a quality shoe with a carbon plate reinforcement. This particular design is ideal for patients who experience large volume fluctuations, have open wounds/sores or are allergic to thermoplastics. Further design and componentry depends on the type of control or correction that is to be applied to the knee, ankle and/or foot. 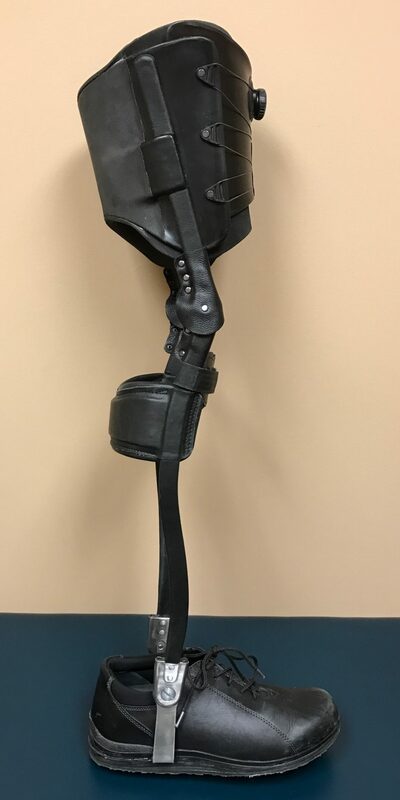 Orthopedic Bracing Solutions Inc. was established in 1997 and specializes in custom-made orthoses for pediatric, adult and geriatric patients.